Over the last few years, Guruvayoor has been attracting the attention of investors and homeowners, as it has turned out one of the most prominent residential areas in Kerala. 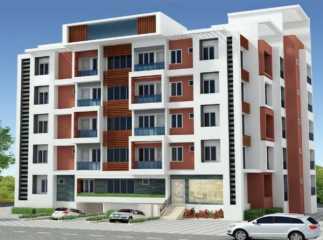 People from different parts of the country are interested in buying property in Guruvayoor after the area witnessed large-scale development of infrastructure projects. The location of the housing estates is centralized, which provides the residents with access to all the important areas around. Besides, an enriched social infrastructure and sound living conditions in the residential estates have led to the popularity of the area. Investors and homeowners who are interested in the projects in Guruvayoor should make their investment now. The prices of these apartments are on the rise, with the advancement in infrastructure in the area and increasing demand for quality housing facilities in the region. The returns on selling properties in Guruvayoor are high, which provides you with the opportunity to strike a good deal now. The residential complexes come with every amenity you would expect to make your life comfortable. Apart from this, the intelligent floor planning makes a large area available for public use. Large open areas and green patches within the complex foster green living styles. The flats in Guruvayoor are spacious and the residents will enjoy the well-ventilated living spaces. The interiors are large and spacious, with wide balconies and large windows. You can sit in your room and watch the greenery around, or spend your time in the landscaped gardens in the complex. If you are an aspirant of green living, these estates will bring you the right infrastructure. 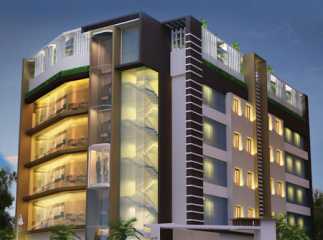 When you move to the apartments in Guruvayoor, you will enjoy the swift communication facilities in the region. The roadways and transportation system have been upgraded in recent years, and commuters can get across to their destinations in quick time. You will find enough entertainment facilities in the area. A large number of shopping malls, multiplexes and restaurants have opened up in the region. Besides, healthcare and educational infrastructure near the plots in Guruvayoor are also well-developed. Fast connectivity to all these areas ensures that the residents can reach the institutes in a short time. The important schools in the region include Little Flower Convent Girls Higher Secondary School, Guruvayur Devaswom English Medium School, Sreekrishna Higher Secondary School, Mukthi English Medium School, IDC School, and St.Francis School. The prominent hospitals close to the villas in Guruvayoor include Vinayaka Ayurveda Clinic, Ahalia Foundation Eye Hospital, Devaswom Medical Center, Paluvai Ayurveda Mana, and San Jos Parish Hospital. The residential complexes come with a wide range of amenities, including swimming pool and gym. Children can play in the areas dedicated for them. Besides, you can enjoy your time playing various indoor and outdoor games, and spend quality hours at the clubhouse. Investors willing to buy property in Guruvayoor Kerala should make their move now. Whether you get these properties for commercial purposes or private use, the apartments bring you the best returns of your money. Enjoy classy interiors and a sophisticated housing infrastructure in the estates.